Oracle Database is an object-relational database management system (RDBMS) developed by Oracle Corporation. The Oracle Database is available under a Proprietary and OTN Standard License. The supported operating systems are Redhat Enterprise Linux (x86-64), SUSE and Oracle Linux, Microsoft Windows x86-64 and IBM Linux. 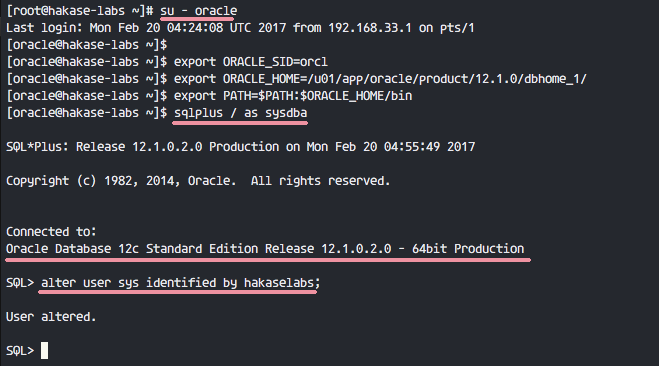 In this tutorial, I will show you step-by-step how to install Oracle 12c on a CentOS 7 x86-64 machine. This includes the preparation and configuration of the CentOS 7 machine for the Oracle 12c installation, the Oracle 12c installation and testing the database with the Oracle Database command line utility 'sqlplus' and the web-based Oracle Enterprise Manager. At least 1 GB RAM Memory. 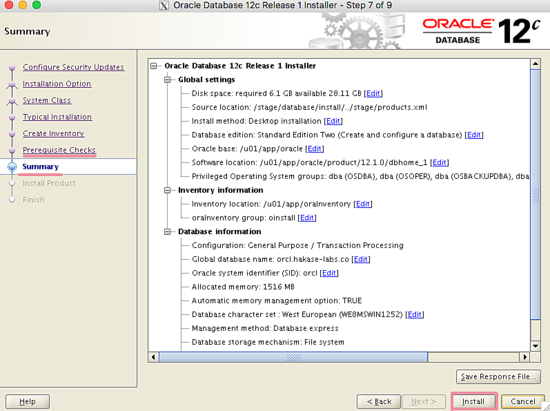 As the first step, we have to install a lot of packages required by Oracle database, like GCC, Binutils, Glibc etc. We will install them from the Centos repository with the yum command. 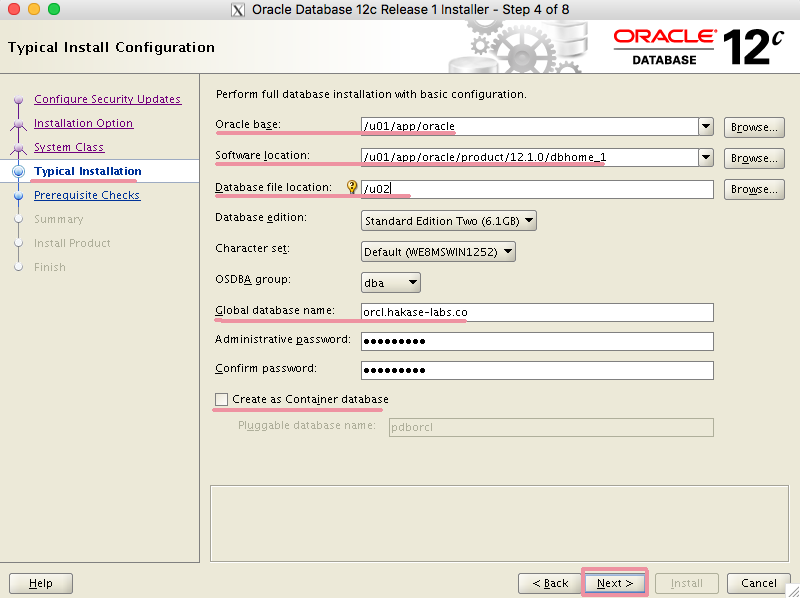 Install packages required by Oracle database with yum. 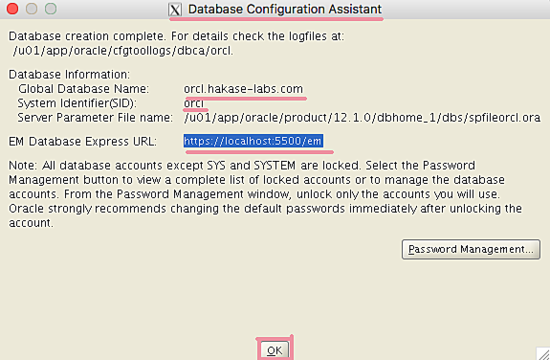 Oracle Database will run under a normal Linux user and not with root privileges. 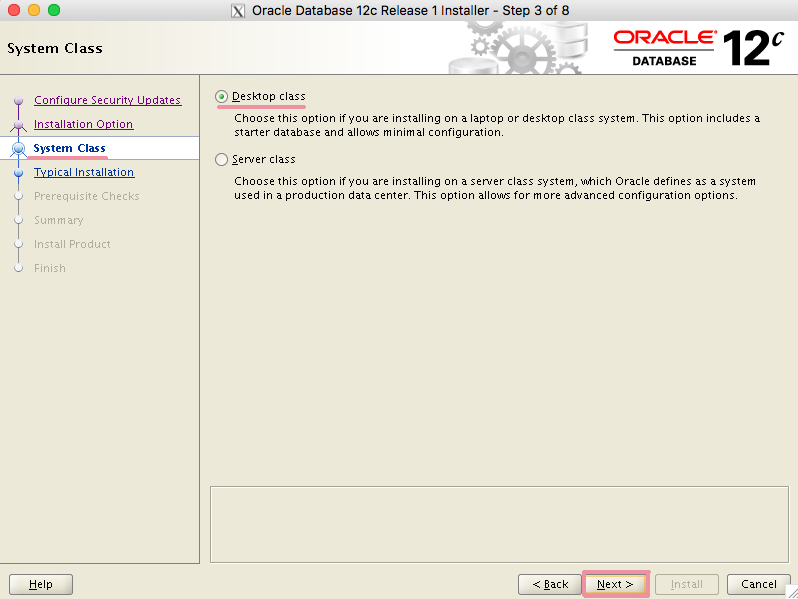 In this step, we will create a new user and group for Oracle. 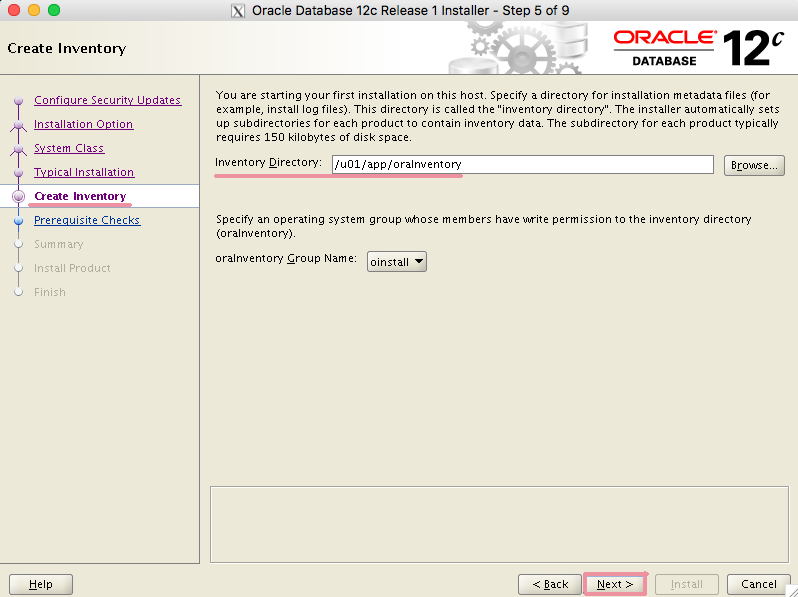 Create new groups named 'oinstall' and 'dba', then create a new user 'oracle' and add it to the 'oinstall' group. 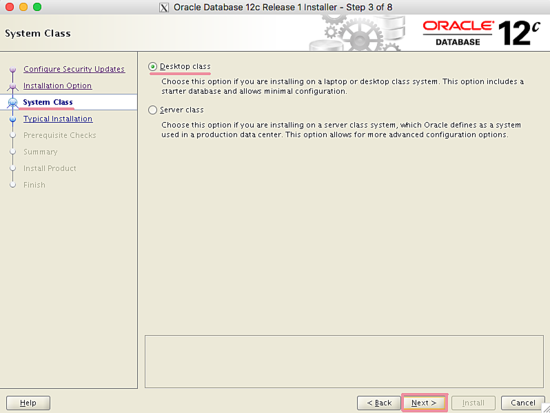 New user and group are created, now we need to configure our system for the Oracle installation. 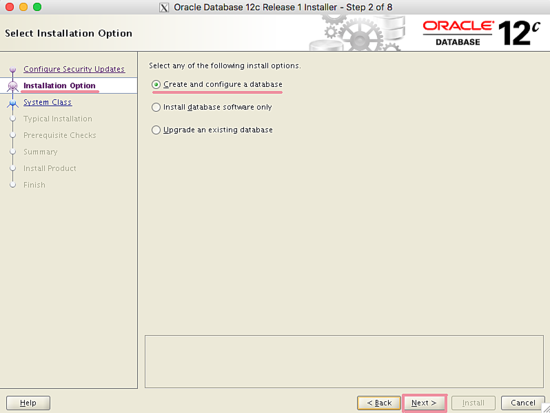 There are some kernel parameters that we must configure for the Oracle installation. Edit 'sysctl.conf' file with vim. Now run the commands below to display all kernel parameter and apply the new values. Next, we need to configure some limits for the oracle user. Specify the max number process and max number of open files descriptors. Edit 'limits.conf' file with vim. New user and system configuration is finished. 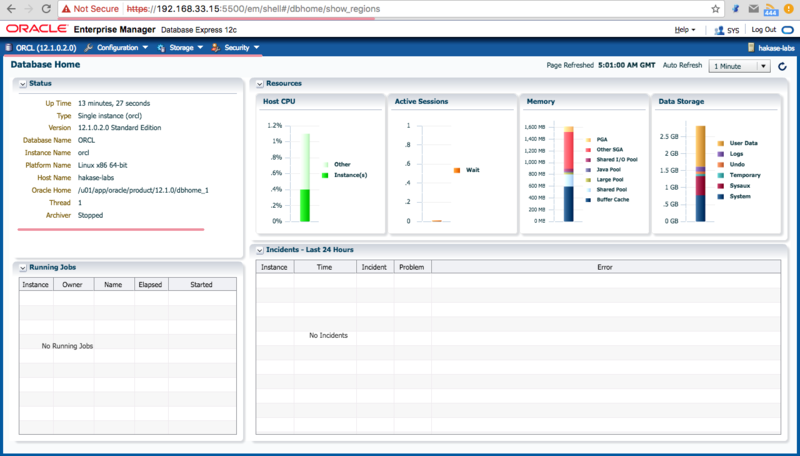 The Oracle installation requires GUI access, so the fastest way for this is by installing a X Window System on the server, and then access the GUI app with ssh -X option. Install X Window System with yum command below. yum groupinstall -y "X Window System"
When the installation is done, open a new terminal and connect to the server as oracle user with the ssh command option below. Try to run the GUI application and you will get the application screen. 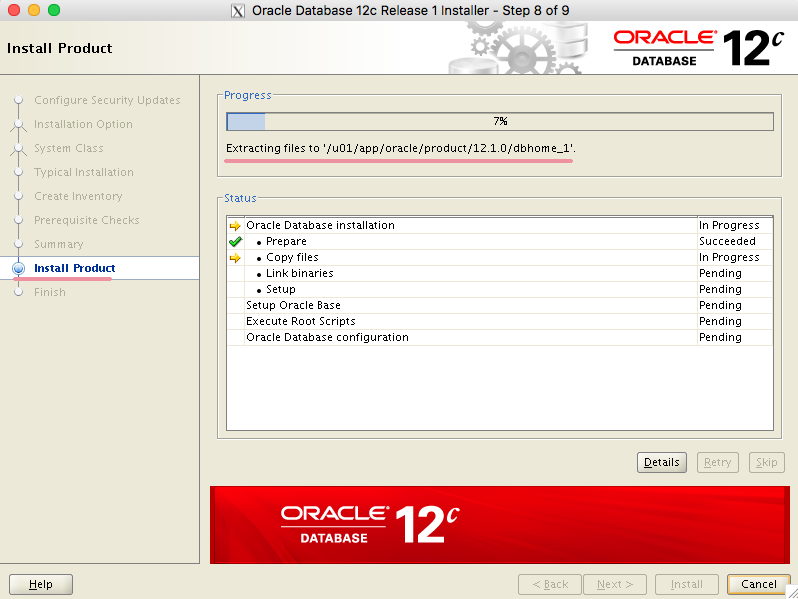 If you do not have an Oracle account yet, register one and then log in to download 12c for Linux. Below are my oracle files. Install zip and unzip to extract the archives. Extract the Oracle files to a new directory named 'stage'. Change owner and group of the '/stage/' directory to the oracle user and oinstall group. 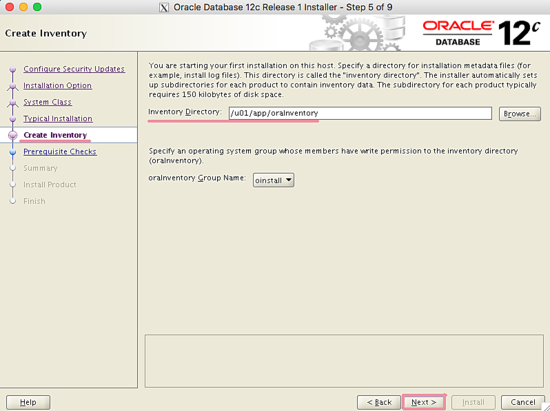 Next, create new directories for the Oracle installation files and Oracle database files. 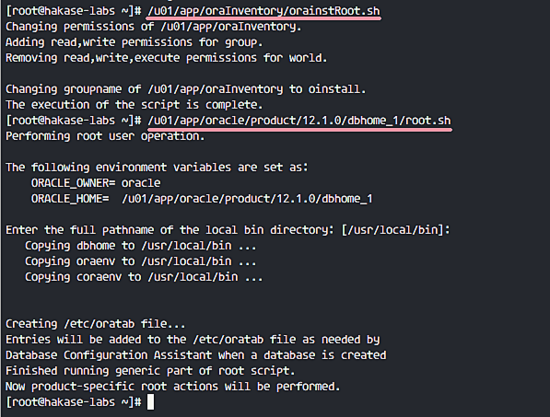 Directory 'u01' is for the Oracle installation files and 'u02' for the Oracle database files. Change owner and group of the new directories and set permissions to '755'. 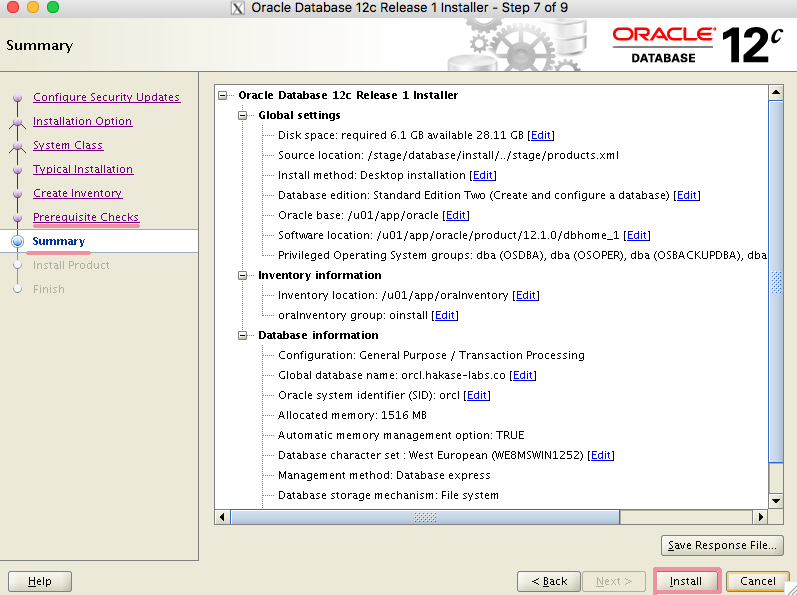 Oracle is downloaded and the new directories for the installation are ready. Open a new terminal and connect to the CentOS 7 server with the ssh command below. Go to the stage database directory and run the installer file. The script will check the server, make sure all tests are passed. And you will see the GUI installation screen below, there click 'Next'. 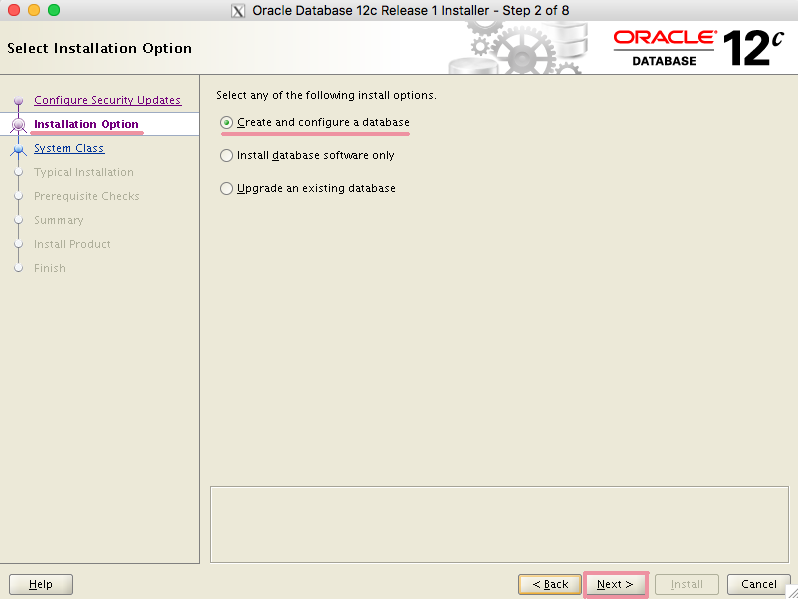 At 'Installation Options', choose 'Create and configure a database' and click 'Next'. Under the 'System Class' section, choose 'Desktop Class' and click 'Next' again. oraInventory Group Name: use 'oinstall' group. 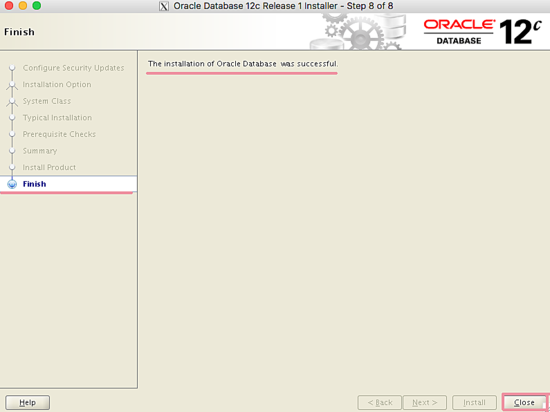 Make sure all checks completed without an error, then you will see a summary of the Oracle configuration. During installation process, you will be asked to execute some scripts as root. Open a new terminal and execute the files. You will get the results below. Next, you will be shown a new pop-up from the database configuration assistant, please wait, it takes a time. 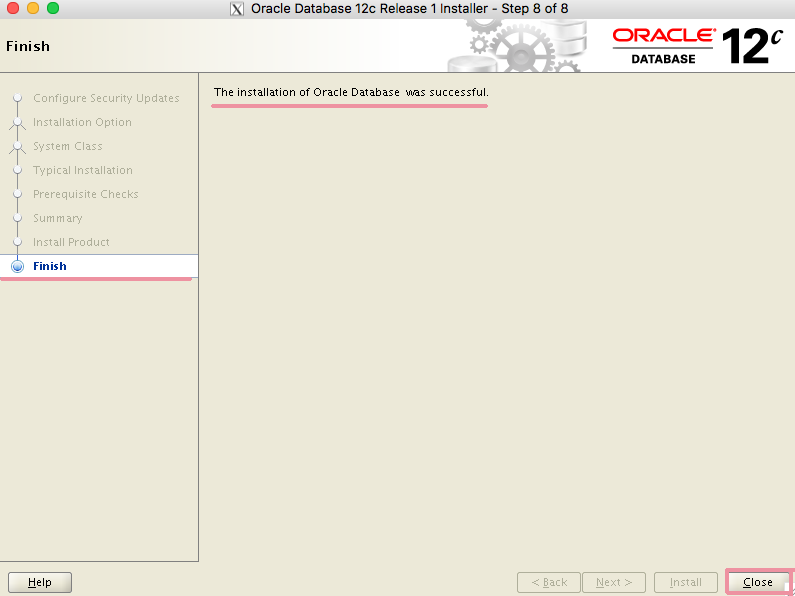 Click 'Ok' and the Oracle database installation is done. 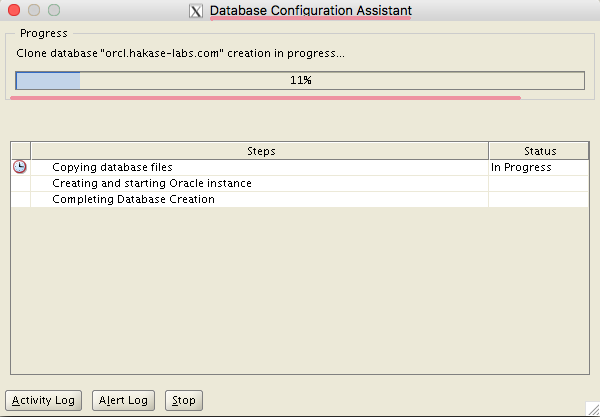 The Oracle installation is finished and ready for testing. I will try to access Oracle from the command line first. 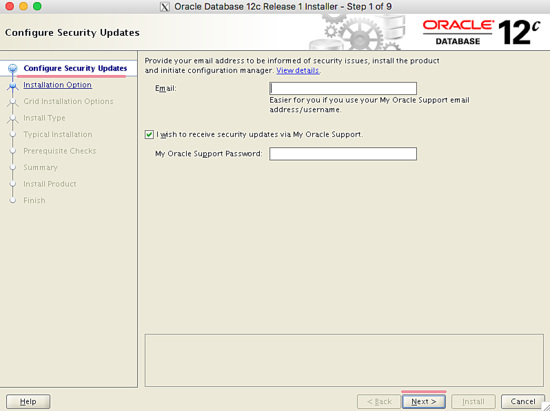 Log in to the server and access the oracle user. 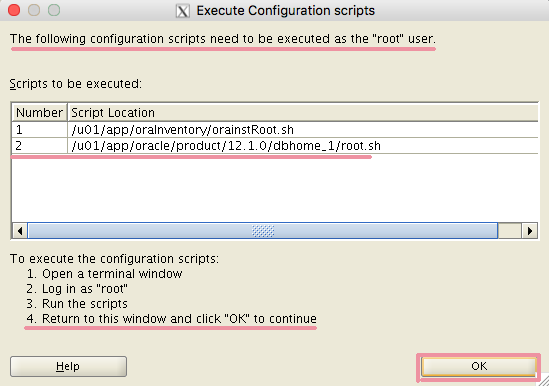 Execute the commands below to set the oracle environment. Access the oracle database utility 'sqlplus', log in as 'sysdba' privileges. 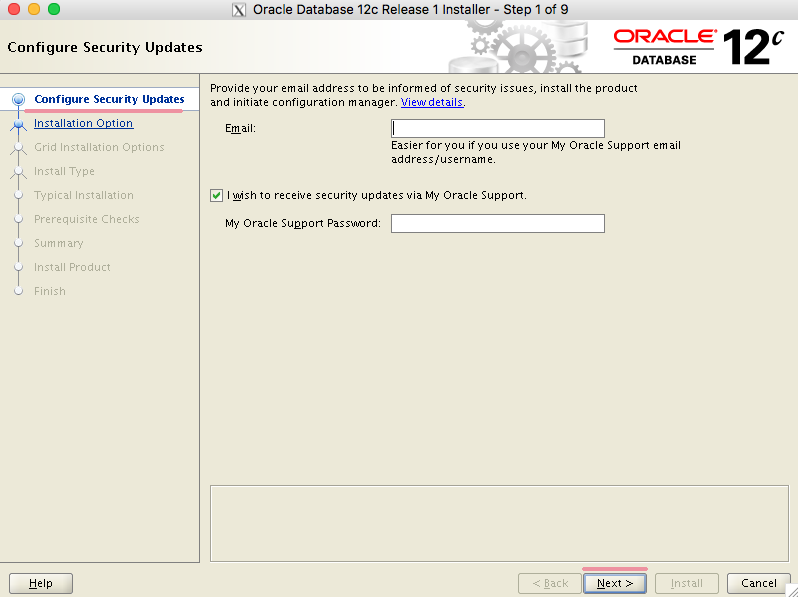 Oracle comes with some default users. Run the query below if you want to change the default user named 'sys'. 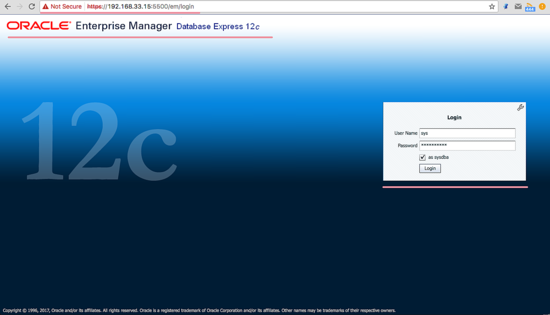 Next, try to access the web-based 'Oracle Enterprise Manager'. Open your web browser and type the https URL below on port 5500. Use the IP of your server! Login with user 'system', and the password you have setup as 'Administrative Password' in step 5. Or you can use the 'sys' user and your password. 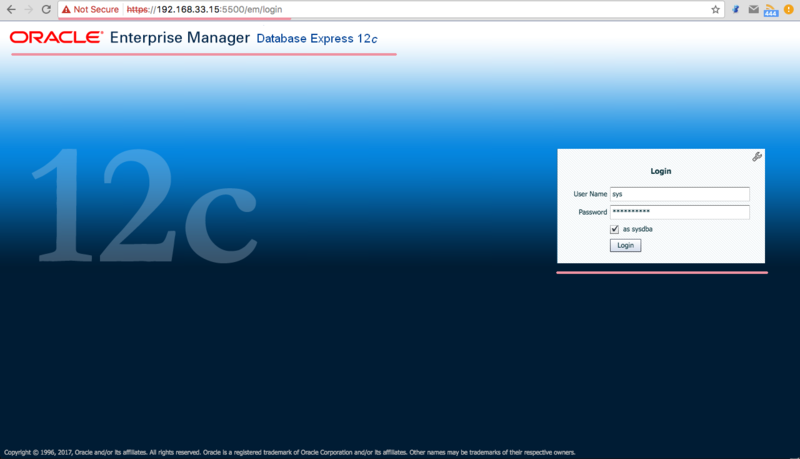 After login, you will see the 'Oracle Enterprise Manager' dashboard below. The Oracle Database 12c installation and configuration is done. 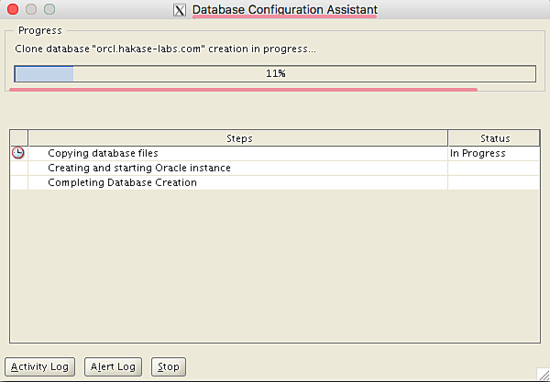 Oracle database utility and Oracle Enterprise manager are working. Please, do you know if there is any type of penalty or if any property law is broken if Oracle is installed under CentOS in a production environment? Thanks. You should remove the slash from the end of "export ORACLE_HOME=/u01/app/oracle/product/12.1.0/dbhome_1/" - "export PATH=$PATH:$ORACLE_HOME/bin" would result ...dbhome_1//bin, which is not correct. About error on limit of stack that block you on checking prerequesite, just ignored this step to start install. I installed 12.2.0 on centos 7.5 on the way to installing Oracles Identity manager. there are multiple ways to fix this on the net. [google]. Having recently rebuilt this machine using CentOS 7.5 I found out rather quickly that Oracle 11gR2 would not work, so I started researching Oracle 12cR2. I never install more than just the software, then I use netca and dbca. Using 11gR2 I have a service script called dbora to do the automatic start and stop during reboots. But CentOS 7 requires a different direction, but that was not included here. Your tutorial worked fine for me man, thanks, it was the best one that i could find around the internet.